Get travel rewards for free. Travel credit cards are a great way to help you make that dream vacation more than just a dream. Whether you earn airline miles, hotel points, or flexible rewards (that can be used on everything), they’re a great way to help take the bite out of your vacations costs. To get the most out of these cards, we tend to choose ones with an annual fee so we get the best rewards and the best perks. But sometimes...we shouldn’t. Paying that annual fee doesn’t always makes sense just to get a few more points and perks that you may not even use. This is where a no annual fee card comes into play. If you avoid paying that fee, you’ll get travel that didn’t cost you anything. So, instead of paying a hefty annual fee to get your travel rewards, consider a card that doesn’t have one. you never take advantage of perks associated with annual fee cards. If these 3 statements sound like you, it may be time to switch to a card with no annual fee. This way, you’re not spending any money for perks you don’t need, and you don’t need to worry about earning enough rewards to cover the annual fee. So even with no annual fee, there are still some great features available to you. This all seems great. So why would you ever choose something that has an annual fee? Well, if you travel at least once per year on the same airline, having a premium travel card will give you access to airline-specific perks that save money, like free baggage and companion fares. Also, they usually contain better travel insurances, potentially saving you even more during your travels. And if you spend a lot on your card, the rewards you earn can more than offset the annual fee you’re paying. Plus, while welcome bonuses can be quite large on no annual fee cards, they’re almost always bigger with a premium credit card. This can be a great way to get a bigger boost towards your next holiday. 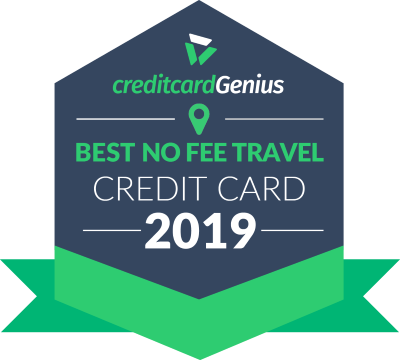 Here’s our list of the top travel credit cards with no annual fee. It’s updated when current cards change or a new one enters the market. This way, you’ll know you’re looking at the most up-to-date list of no fee travel cards.